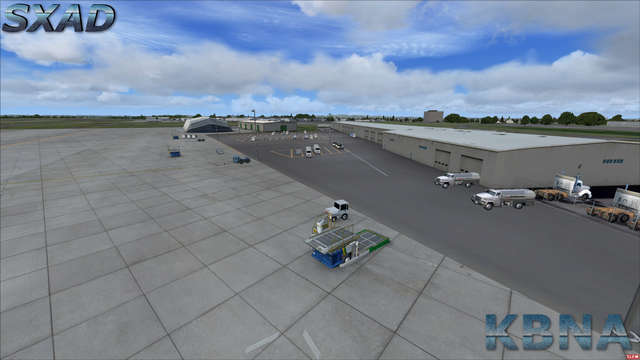 Welcome to Nashville International Airport, Tennessee, hub for several major US airlines and home of the 118th Wing, Tennessee Air National Guard. 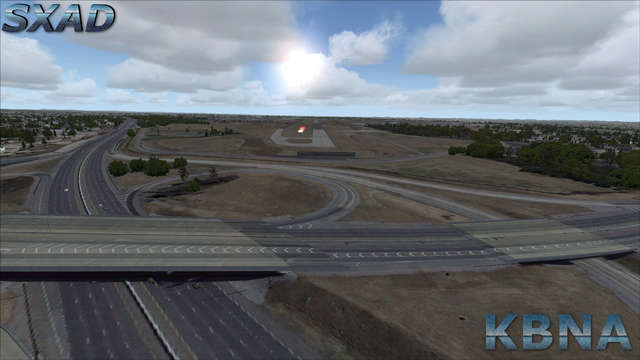 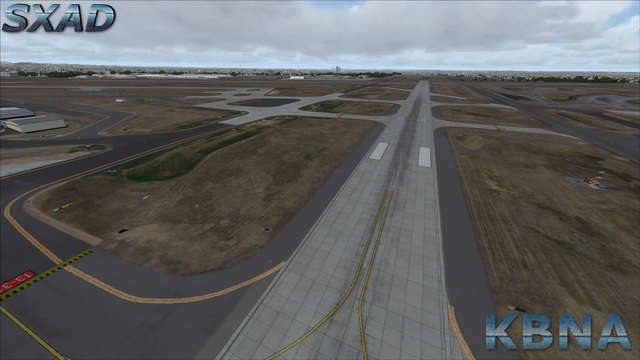 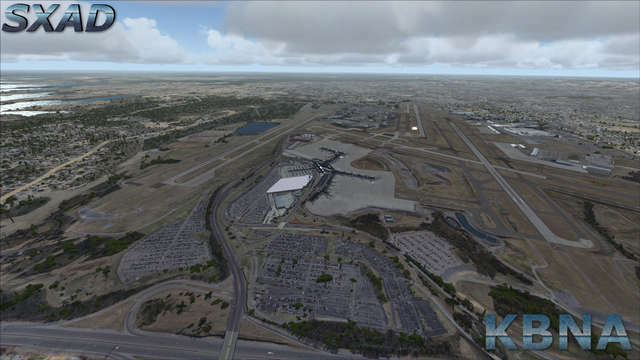 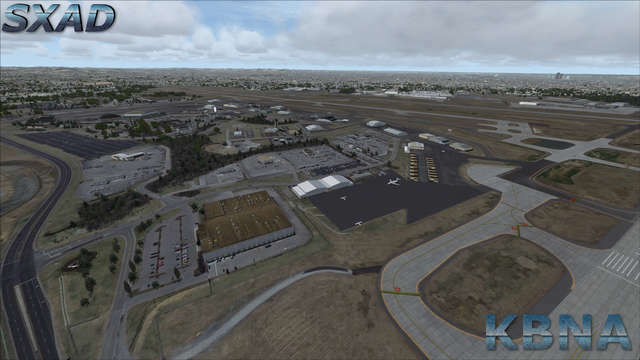 This scenery for FSX and P3D has been developed with meticulous attention to detail and concern for performance. 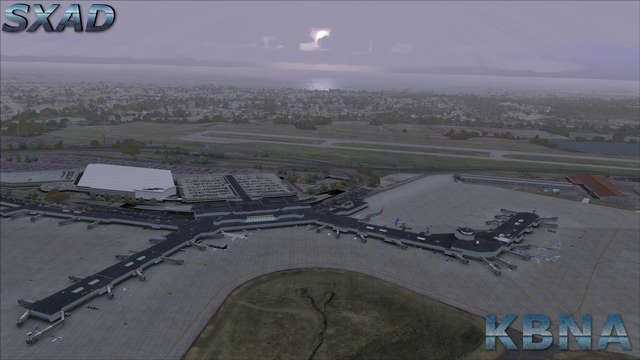 The airport is used by 11 airlines and has around 385 flights arriving or departing daily. 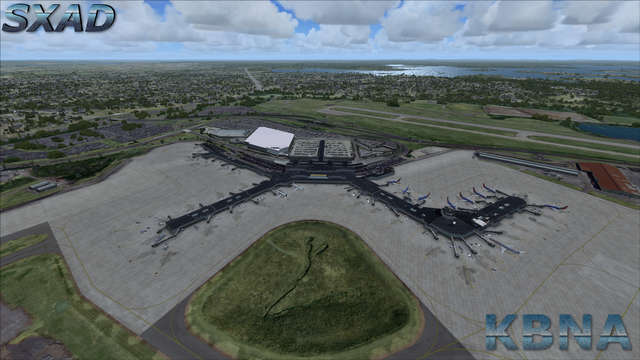 Ranked as the 32nd busiest airport in the US, over 11 million passengers passed through KBNA in 2014. 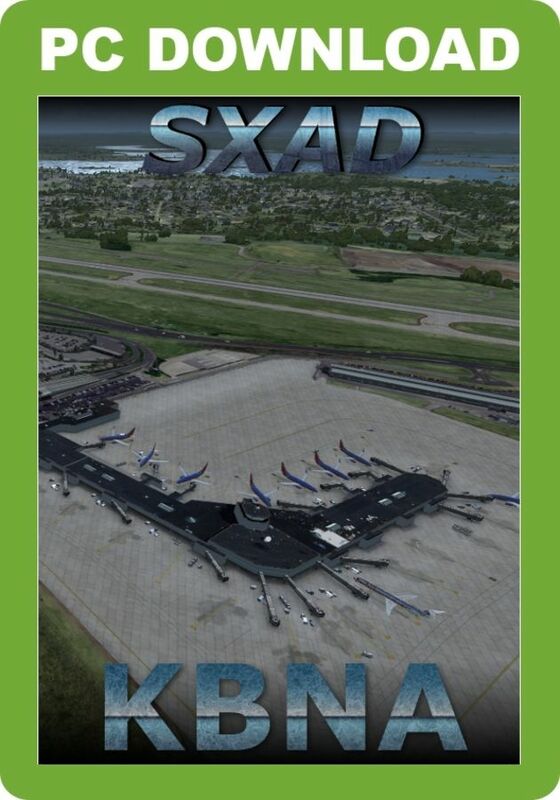 SODE required prior to installation. 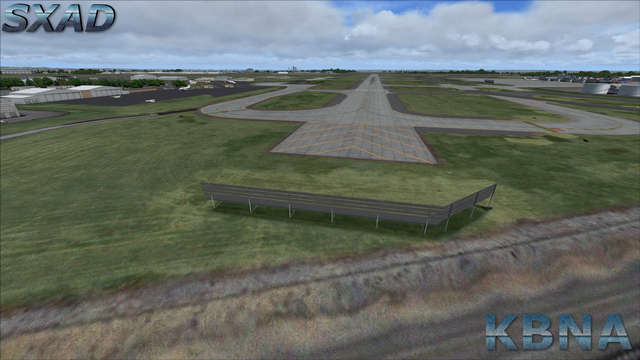 Use of working taxiway bridges requires a mesh set to 5m and activation using the scenery configuration tool. 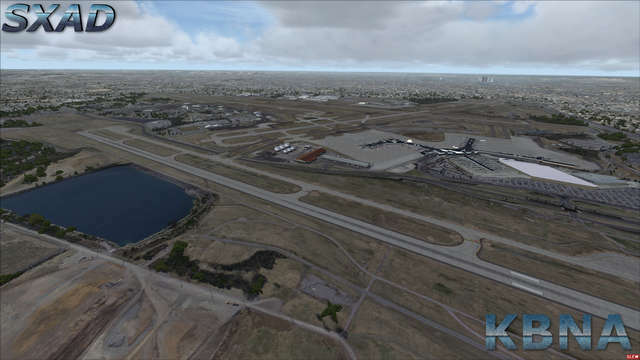 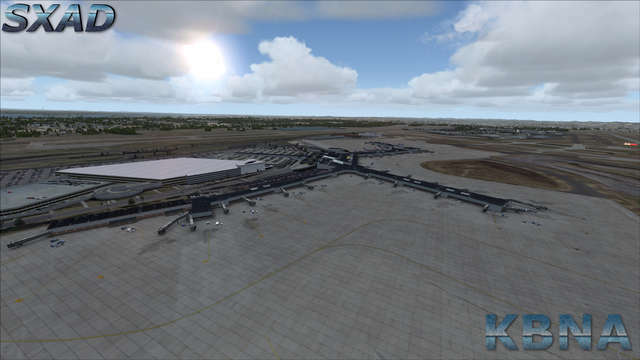 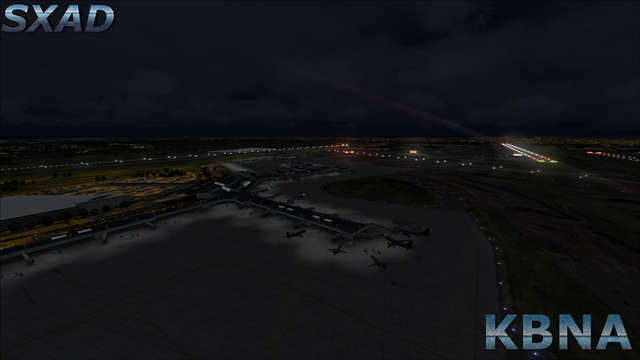 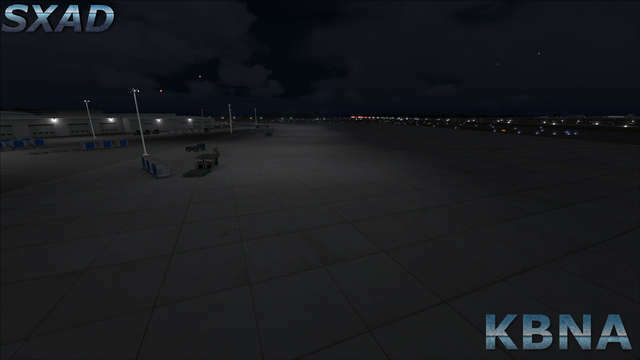 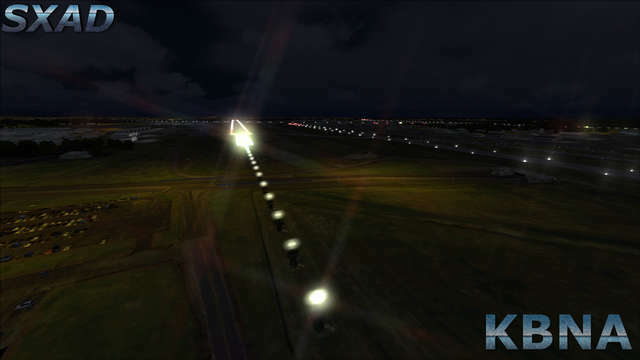 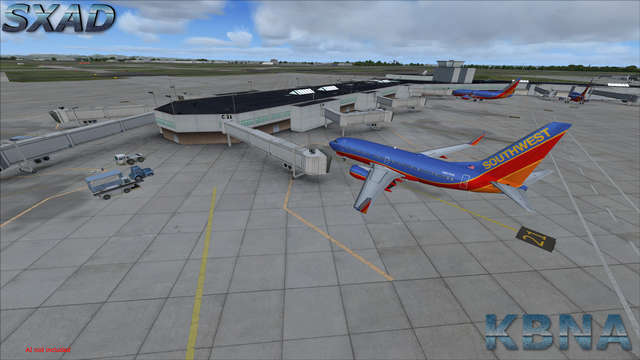 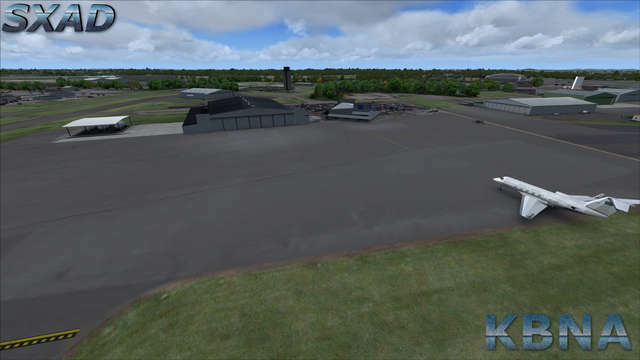 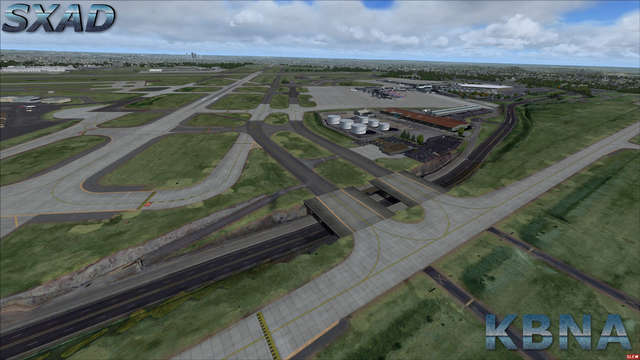 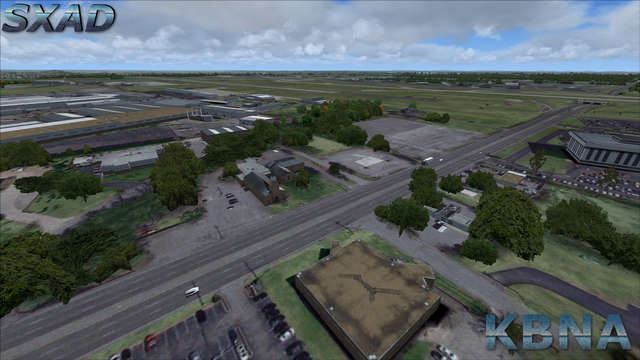 This FSX/P3D scenery package from SXAD includes a highly detailed rendition of Nashville International (KBNA) airport, with 1.3ft/px seasonal photoscenery and custom seasonal vegetation. 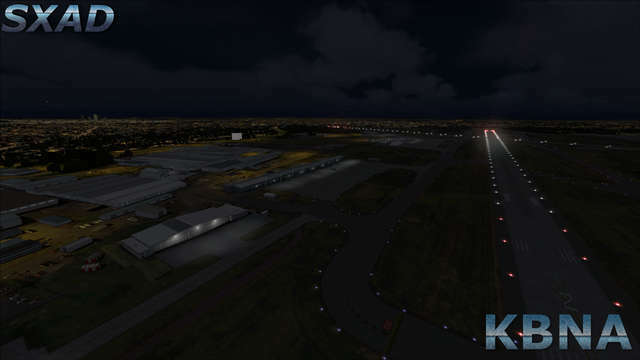 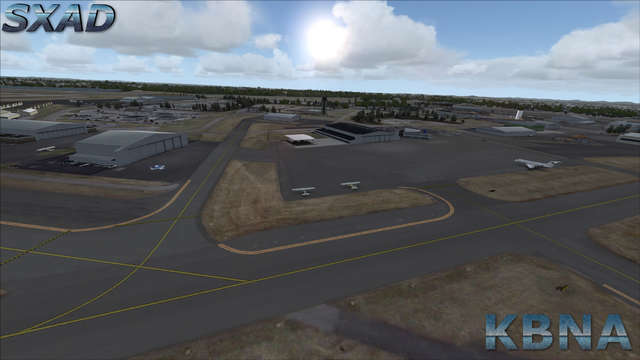 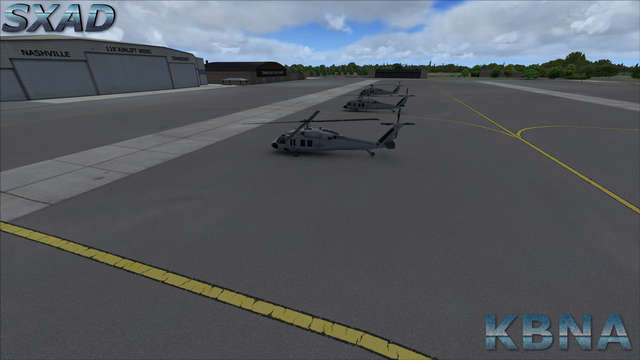 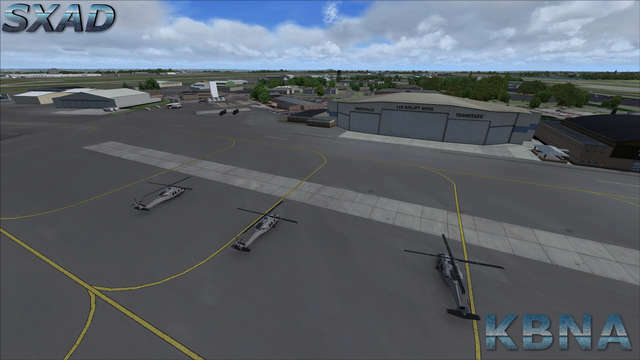 Other features include custom airport buildings, static GA aircraft, custom static gates, custom approach lighting and a Scenery Configuration tool.